But in my opinion, the lowly engineer gets short shrift. It probably begins in elementary school, where science and math are taught as core subjects. 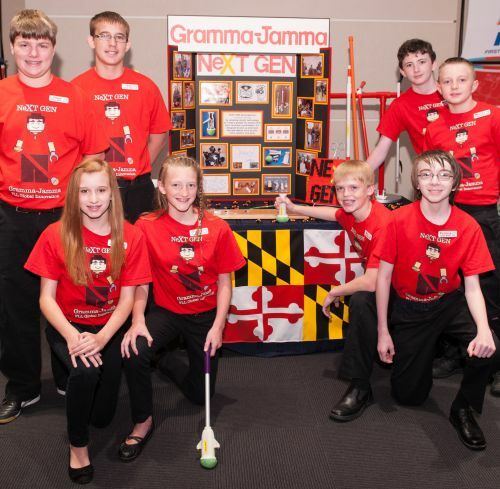 And with advanced technology now residing in every student’s backpack or pocket, the “T” in STEM is familiar to all. But engineering – well you can’t normally take engineering courses until high school, and even then they may be disguised as “technology” classes. I grew up in a family of career engineers and spent hours listening to my dad talk about his work in nuclear engineering. But the sad fact is that, even with this kind of background, I had NO CLUE what a typical engineer does on a day-to-day basis before I began studying the subject in college. Dad: So what do you want to do when you grow up? Me: I’m really good at art, so maybe I’ll become an artist. Dad: Well, you can’t make a living as an artist you know. Me: OK, then how about becoming a teacher? Dad: You can’t really make a living as a teacher either. You need something to support yourself until you get married (!). Me: OK, how about engineering? So without really knowing what I was doing, I decided to follow in my father’s footsteps and pursue an engineering career. In the Engineering Science program at The University of Tennessee, Knoxville, most of the students in my classes were male and, like my brothers, probably spent their weekends operating ham radio stations or building mini-bikes from spare parts out of the junk yard. These guys probably had a much better idea of what they were getting into with an engineering career than I did. As a result, the National Science Foundation (NSF) reported that in 2013, 20 percent of bachelor’s degrees in engineering were awarded to women, and only 14.9 percent of working engineers were women. That’s compared with almost 60 percent of degrees in biological and agricultural science earned by women, with women accounting for almost half of working life scientists. But the best career opportunities for young women today may be in engineering, due to the sheer number of jobs available. After all, how many life scientists are needed to dive in a submarine vessel to study deep sea creatures vs. the number of engineers it takes to design all the automated factories, water treatment plants or aircraft parts needed in the world? OK, maybe that’s not a fair comparison, but still you get my drift. A report on STEM occupations by the Bureau of Labor Statistics (BLS) points out that, after computer-related occupations, engineering careers are the next largest category consisting of 19 percent of STEM jobs, for a total of 1,610,480 jobs. That’s more than a million and a half engineers! Life science careers, in comparison represent only about 3.2 percent of STEM jobs – a total of 281,440 jobs. If you’re considering a career in STEM, the BLS projects that there will be over 1 million new job openings between 2014 and 2024 in computer-related occupations. Second up is engineering, with a projected 510,900 new openings. Meanwhile, the life science occupations are only expected to add 116,600 new openings, or less than one-fourth the number of engineering jobs. The largest job growth within engineering will be in mechanical engineering, due to an increase in industrial automation and robotics for manufacturing. Following that, demand for civil engineers is expected to increase with the need to improve U.S. infrastructure. According to these numbers, young women (or anyone) looking for a solid career path with good pay and good prospects for employment, should at least consider engineering. 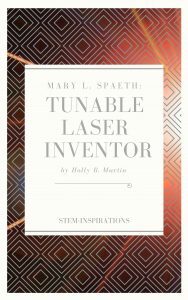 For innovative books & resources that inspire and encourage young people to pursue careers in STEM, visit the Holly B. Martin Amazon Author page.